Dr. Greg Bell - Spanning the world and spanning the gulf from athlete to motivational speaker. This site is intended to introduce myself to you and to acquaint you with biographical information, interests, athletic facts and various other aspects of my life. There will be more regular additions and a variety of subjects and links. If there are other items you might like to have included, please contact me. 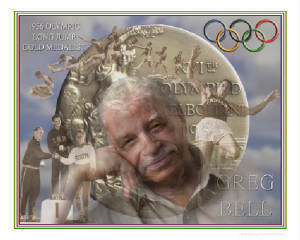 Greg Bell, author of "Where Eagles Soar " ,"I Believe in You", Dare to Dream ", and his new book, "The Longest Leap", is an Olympic Gold Medallist, poet, professional speaker and author. 1956 Olympic Gold Medalist in the long jump. Inducted into the National Track and Field Hall of Fame in 1988. 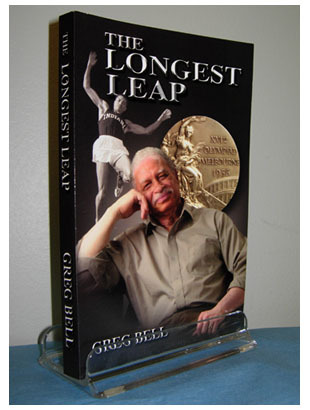 The Longest Leap - Dr. Greg Bell's new book is out now! I have just published a book entitled "THE LONGEST LEAP". The book is an autobiography which chronicles an improbably long leap from the chicken house of my childhood to Olympic gold and beyond. It also urges the reader to refrain from letting the limits of one's present view be the limits of one's possibilities. I believe this book is unique in that it contains original sketches of the people and events that were instrumental in helping to shape my life. I have also included selections of my original poetry where they emphasize or augment a specific topic in the story. At the present, I am the sole distributor of the book. To purchase this book, or any of my previous books, please contact me. My email address is gold56@comcast.net, or you may call (574) 753-3231 to order.